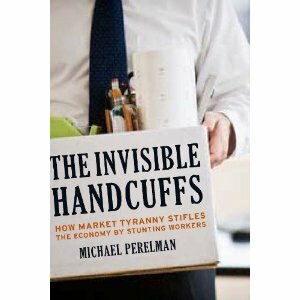 I just posted a YouTube video discussing the Invisible Handcuffs, which comes out in two days on January 1. Indeed, on today's Washington Post editorial page, Michael Gerson advises Obama to do exactly this, even as he recognizes that there is little political support for it, particularly among Democrats. But repeating the long buzz in certain circles that it should be done because it is easier to do than dealing with rising medical care costs or raising taxes or cutting defense spending, he should do it, with the aid of supposedly willing Republicans, and even though the system is the least contributor to the deficit of any major part of the federal budget, although neither he nor anybody else notes that this does a big fat zero about the near term deficit. My my. Unfortunately, I fear that those around Obama may be getting to him, as there is this well-known group of Democrats tied to Wall Street that likes this sort of argument. Rumors keep surfacing that he will put some sort of variation of what came out of his Deficit Commission on this matter into his State of the Union speech next month. Over a week ago on Angry Bear the estimable Bruce Webb argued that the 2% cut in payroll taxes was picked by insider Dems as part of an old plan to be offered to be put into private accounts, long the goal of the Wall Street gang. I fear he may be right on this, see http://www.angrybearblog.com/2010/12/2-non-solution-part-two.html. Bah, humbug! This remarkable analysis has appeared on Open Economy. If you have wondered how a country can get into such a deep, deep hole, take a look. Doxiadis discusses the rentier economy (a populist rentier economy), the breakdown of cooperation, the preference for a mix of income opportunities rather than specialization, and reason why unproductive small businesses dominate. [Rent] does not contribute to growth, it only shares in what is there. Therefore, it secured by militant claims, not by productive work. It breeds populism, whose fundamental strategy is to shift responsibility for the whole to the opposite pole, the enemy. In populist discourse citizens identify with the weakest groups, regardless of their actual position in society; so they feel entitled to demand more on grounds of fairness, or even on humanitarian grounds. They do not feel responsible about production of wealth, nor about setting priorities for redistribution to the truly weak. It is others who are responsible for the big picture. Populism differs radically in this from a socialist strategy which starts from the mode of production before the mode of distribution; as well as from a political program of solidarity towards the really poor and excluded. Today is Boxing Day, which in the UK is traditionally a day that those better off put things in boxes to give to the poor, particularly the homeless poor. In that regard it may be worth noting a story that appeared on the front page of the Christmas Eve Washington Post by David S. Hilzenrath, "Virginia puts homeowners on fast track to foreclosure." While many states allow those who are facing foreclosure on their homes due to falling behind on mortgage payments a "day in court" to contest it, with some adequate time to prepare for this, Virginia, along with an unnamed set of 28 other states, have "trustees" hired by lenders making the judgments. A VA banking official defends this as "hastening the day when banks can move delinquent loans off their books, it can dut their losses." Now in many of these "nonjudicial" states there is some effort to make sure that those being foreclosed on have some time to respond to such an effort. However, in Virginia a notice of the foreclosure is sent 14 days in advance, which means the homeowner generally will not see it until even closer to the time the foreclosure is to happen. It is very difficult to overcome this with many barriers and restrictions put in place to challenge a questionable action, leading in one reported case to "a Catch 22: To obtain evidence that that might flesh out those suspicions, his lawyer needed to file a lawsuit and enter the court-supervised process known as discovery. To file the lawsuit, however, the lawyer needed evidence." Scrooge, we knew you when, and apparently you have found a nice home in Virginia. On my way out as JEBO editor, I have written an essay to appear in a book of these by economics journal editors being edited by Michael Szenberg. Mine is entitled "From the Editors' Crypt: Accusations of Plagiarism True, Uncertain, and False." It can be accessed on my website at http://cob.jmu.edu/rosserjb, scroll all the way down. Aside from the various cases I discuss, a major theme is that false accusations can sometimes be more of a problem than true ones. In the meantime, Merry Christmas to everyone, along with any other holidays of this season you are of a mind to celebrate, or have recently finished celebrating. The Maastricht Treaty reinforced a reliance on market forces to provide discipline and stability. The only collective mechanism for dealing with crises was the Stability and Growth Pact that accompanied the treaty. This was essentially an agreement on sovereign debt burdens, less inflexible than many thought, but the overall framework implied that governments, not financial markets, were the problem – if the rules were properly applied, stability would prevail. The Treaty thus favoured price stability and the fight against inflation over growth, employment, and social policies. The question for me was how to explain, from a political economic perspective, the intense liberalism on all matters financial imposed by the EU. What makes it a question is that this drive coexists with a parallel “Social Europe” of relatively aggressive environmental regulation, nondiscrimination, mandatory works councils, etc. Because all of this is embedded in a capitalist order, financial liberalism has tended to erode social protection, but why should there be this left hand/right hand problem? This could be examined through the prisms of class and ideology, but here we see another dynamic stemming from nationalism. The problem of constructing an integrated economic area is one of coordination in core markets—labor, goods, capital. This can be accomplished directly through public and private institutions that explicitly regulate and standardize across the entire domain, which has been the story of the United States since the end of the Civil War. One reason this was possible was the war itself, which destroyed the ideological and political basis for states’ economic sovereignty. But Europe’s “wars between the states” in the last century were not about disunion but hegemony, and their outcome is a cooperative, non-hegemonic arrangement between sovereign nations. There is little political support for making Brussels the primary locus of economic rule-making. The alternative to organized integration, however, is self-organized integration. By using capital market liberalization as a battering ram, the EU can hope to dismantle, over time, barriers to the single market in all dimensions without a direct assault on subsidiarity. The Eurozone addition, of course, is the Stability and Growth Pact, which is intended to limit the exercise of fiscal policy at the national level, now that monetary policy is safely tucked away in the ECB. Liberalism presents itself as a strategy for integration in the absence of robust supranational authority. Of course, this aspect of the situation is not walled off from the class and ideological aspects. Financial liberalization became the dominant policy framework because of the political ascendancy of individuals who viewed their economic interests in financial terms, as I argued earlier. The practical issue remains how to advance European integration on democratic lines, overcoming nationalism from below and across rather than outside (market liberalism). The current crisis should be an opportunity to construct a programmatic counter-vision, but I am not hearing much of this from where I sit. Molière’s 1670 play, The Bourgeois Gentleman, presented before the court of Louis XIV, mocked a foolish, social‑climbing merchant. In his effort to remake himself, the merchant takes lessons to help him pass as an aristocrat. In a basic lesson on language, he is both surprised and delighted to learn he had been speaking prose all his life without knowing it. Almost three and a half centuries later, much of the world finds itself speaking a different language ‑‑ economics ‑‑ also without full awareness. "... Which is odd when you think about it. If you are looking for an American institution that failed the public, made resources disappear without returning value and lacked accountability for its manifest sins, the Education Department would be in line well behind Wall Street. By now, the notion that business is a place built on accountability and performance should be as outdated as the one-room schoolhouse. Ask yourself, what would happen if American public schools were offered hundreds of billions in bailout money? One outcome is not in the cards: its leaders would not end up back at the trough so quickly, sucking up tens of millions in bonuses as Wall Street has." I am going to give a talk to a Chinese delegation. I have to write up the talk in advance for the participants to have a translation to read. Once upon a time Douglas Holtz-Eakin was a reasonable professional economist, if of a conservative bent and clearly associated with the Republican Party. He served honorably during the period of GOP control of Congress when Bush, Jr. was president as Director of the Congressional Budget Office. There he resisted the relentless pressure from delusional supply-siding GOPster Congresspeople to declare that tax cuts pay for themselves with the proper "dynamic analysis." DH-E put this canard to sleep once and for all, at least in Congress, if not on Fox News and in the general Tea Party looney bin. Even though I did not support McCain in 08 (and by all accounts he knows little to nothing about economics), DH-E served respectably as one of his top economic advisers in the campaign, along with other such respectables as Ken Rogoff, who has managed to avoid making a fool of himself since then. However, now Douglas Holtz-Eakin has fallen into lunatic pandering, I can only guess in the hopes of becoming an adviser to Sarah Palin or some other future GOP prez nominee who is equally out to lunch on economic matters. Accounts are given on Mark Thoma at http://economistsview.typepad.com/economistsview/2010/12/words-will-never-hurt-us-or-our-cronies-if-we-dont-allow-them-to-be-used.html a few days ago and today by Paul Krugman at http://www.nytimes.com/2010/12/17/opinion/opinion/17krugman.html?_r=1 . As one of the four GOP members of the financial crisis commission he has joined with the others in voting to refuse to allow the words/phrases "Wall Street" or "shadow banking" or "interconnection" or "deregulation" to appear in its final report. While Dem commission member Brooksly Born (who had warned of the coming crisis ahead of time) has expressed sadness that some sort of reasonable compromise language to encompass competing viewpoints could not be arrived at, DH-E and company have absconded to issue their own report that blames it all on Fannie Mae and Freddie Mac, along with the 1977 Community Reinvestment Act. As Krugman points out, the F's did not even get into buying subprime mortgages until 2004 and other countries without them or the CRA have had worse housing bubbles than has the US. This is just fantasyland stuff that is only taken seriously by, well, Fox News and the Tea Party crowd. Douglas Holtz-Eakin: shame on you! Most of the discussion about the recent budget deal has been about Obama caving on failing to push for returning the top marginal income tax rate from 35% to 39%. It is certainly poltically symbolic to point at the screaming hypocrisy of Senate Republicans to threaten to hold up all legislation on this, but it really does not matter much one way or the other. This difference in rates barely affects income distribution, and we have had such top rates vary from 28% to over 90% during the last 70 years, with little obvious effect of either on economic growth. However, one part of the deal that has mostly received praise, although a few such as Mark Thoma have noticed that it might have some negative consequences, is the "temporary" cut in payroll taxes. Now, I grant that this is more stimulating than keeping the lower marginal rate on top income earners, but it constitutes a hidden dagger in our political-economic-social system. First, if we did not know it before, we certainly should now that there is no such thing as a "temporary" tax cut. Anyone attempting to allow such a temporary cut to expire politically becomes a "tax raiser," ready to be excoriated by millions of dollars worth of negative TV ads. Second, this was obviously slipped in by the enemies of Social Security, who know the first point. So, we have long been hearing hypochondriacal howling out of the bipartisan crowd that wants to gut Social Security benefits to fix our budget problems, because, eeeek, it is going bankrupt soon!!! Well, with lowered revenues from its dedicated revenue source, well, you won't have to wait for it too long, these screamers will be back in force with much scarier projections. The bankruptcy will be coming sooner!!!!! Cut benefits more and even sooner !!!!!!! Eeeeeeek!!!!!!!!! The erstwhile Tea Party Senate candidate and dabbler in the black arts, Christine O'Donnell, has proclaimed, in the wake of Obama's deal with the Republicans, that "tragedy comes in threes: Pearl Harbor, Elizabeth Edward's passing and Barack Obama's announcemet to...extend unemployment benefits." Easy to ridicule , of course, but how many people remember that Oedipus never would have left Corinth for Delphi and then, ultimately, Thebes - where, not to put too fine a point on it, all hell breaks loose- had he not been on extended unemployment benefits? Without those benefits, he would have been forced to find a job in Corinth, never knowing who his real father and mother were, and neither killing the one nor wedding the other. This is how tragedy occurs: the devil finds work for government- financed idle hands! What? Nobody remembers the Chorus calling out to the King of Corinth at the beginning of the play, "READ OUR LIPS: DO NOT EXTEND UNEMPLOYMENT BENEFITS! DO NOT!" And as for what the country can afford? The total cost of the tax cut package unveiled yesterday, counting the extension of all the Bush tax cuts, the new payroll tax cut, the unemployment benefit extension and the reinstated (at a historically low level) estate tax comes to around $800 billion-$900 billion over the next two years. The cost of extending unemployment benefits for 13 months is about $60 billion. If your worry is "massive spending" then there are more appropriate places to direct your ire than unemployment benefits ... we should looking very closely at which tax cuts or social welfare policies are most likely to give us the biggest bang for the buck, in terms of encouraging economic growth. And on that score, spending money on unemployment benefits gets a very high rating. Extending unemployment benefits is a sensible move for a government when it is stretched for funds when economic growth is slow and the goal is to increase demand. But the deal is still worth taking: If it won’t do much good for the economy, it will avert a serious blow to it. Of course, a temporary tax cut on the very well to do likely is not going to generate much in the way of additional consumption demand, which is why increase government spending has a bigger bang for the buck. While Tea Party types say they’d like to reduce unemployment, they oppose even modest increases in government spending. And while they say they abhor deficits, they want large tax cuts with little bang for the buck. Go figure! As this plan takes shape -- and I'll be the first to admit there's stuff to like and dislike about it -- one thing is clear: it's a much stronger plan on our number one priority -- JOBS -- than anyone expected. Jared does criticize those low “bang for the buck” things that Mitch McConnell wanted in the deal. And getting an extension of unemployment insurance and a reduction in payroll taxes will help stimulate the economy a little. But let’s be realistic – the amount of stimulus relative to the output gap is very low. And we see nothing in the way of public investment or using Federal revenue sharing to make sure that state and local governments stop laying off their employees. Jared can argue that this is stronger than we expected but then our expectations of what DC politicians will do is far below what we economists could envision as good macroeconomic policy. I am saddened by the employment prospects for my students, but the problems for Chinese students seem even more severe. I met no university students who expected any desirable jobs. Here is an article that suggests that my own observation of Chinese students was too rosy. "China's college graduates on average make only 300 yuan, or roughly $44, more per month than the average Chinese migrant worker, according to statistics cited over the weekend by a top Chinese labor researcher and reported today by the Beijing Times." ""It's the first time China has faced such a situation," the paper quoted Cai Fang, head of the Chinese Academy of Social Science's Institute of Population and Labor Economics, as saying Saturday at a conference on Chinese youth. "It's hard to say how long this situation will last." By Mr. Cai's calculations, college graduates have consistently earned around 1,500 yuan a month since 2003. Migrant workers, meanwhile, have seen their monthly wages rise from an average of 700 yuan to 1,200 yuan over roughly the same time period, Mr. Cai said, according to the Beijing Times." Chin, Josh. 2010. "Value of a Chinese College Degree: $44?" Wall Street Journal China Realtime Report (22 November). In today's Washington Post in "What the Debt Panel Missed," Robert Samuelson embarrasses all the high quality economists who have or have shared his last name with more inane remarks. So, according to him, the "debt panel" missed defining what is our national interest in various programs, saying that just arguing to "give our children and grandchildren a better life" does not cut it. For him, our national interest involves no cuts in defense spending, as some were suggested by the panel, but "It's not in the national interest to subsidize Americans, through Social Security and Medicare for the last 20 to 25 years of their lives because healthier people and the huge costs make the budget unmanageable." Regarding defense (and intelligence) spending, it strikes me there are many candidates for cutting or even eliminating. Do we really need 16 intelligence agencies? Given that there is the CIA on the one hand and intel agencies for the Army, Navy, and Air Force (this latter reputedly run by total maniacs) on the other, what on earth do we need the DIA for? Eliminate some of them, heck, a bunch of them. By many accounts the most capable of the lot is State Department I&R, which spends less than practically any of the others. Then we have all the spending on privatized defense for the successor to Blackwell and its cronies. Instead of using military personnel for guarding diplomats and many other things, we pay about five times more per person for these privatized services that have had a simply awful track record in Iraq and elsewhere. As for Social Security and Medicare, given that the vast majority of people live to use these, how is providing them not in the national interest? OK, medical care costs are rising, but the deficit commission offered nothing on this, and unfortunately the recent health care reform only nibbled at the problem. Social Security is not in financial trouble, and raising retirement ages, what Samuelson and the commission both support, does nothing about the near term deficit problem, while putting manual workers at risk in the future. And, life expectancy of poor white women in the US has actually been declining recently, so some of his assumptions about the future are not justified. In any case, as argued by Dean Baker and others, if a financial problem for Social Security arises, it can easily be fixed in a decade or so with minor tweaking. Doing anything now is stupid. I do agree with Samuelson on one thing. The proposal to raise tax revenues by eliminating a variety of tax loopholes and deductions or "tax expenditures" is a worthy proposal. I have long supported tax simplification and did so back in 1986 when we had our last round of it. Bush, Jr. should have imitated Reagan and focused on that in his second term rather than running around the country for 60 days bashing Social Security. This might be passable and is fully deserving of support. However, the failure of the commission to get 14 votes means the pieces of its proposals will be chopped up and fed separately to the Congress, with the likelihood that very little of it will get passed in the current vituperous environment. Even the Senate Republicans would tell you that they want to reduce unemployment in the short-run and the deficit in the long-run. High bang for the buck fiscal stimulus is something we should all support. A great is example is this proposal from Lawrence Mishel, which has gathered the signatures of 33 prominent economists. Senate Republicans, however, don’t like this idea preferring to lobby hard for a budget busting extension of tax cuts for the well to do. Our President is on board with Mishel’s call for extending unemployment compensation but the Senate Republicans will not agree to this unless they get a concession on their hope for tax cuts from the well to do. Well, it seems our President is willing to bargain by letting there be a two-year extension of the Bush tax cuts. So let’s see – a temporary tax break for households who are not borrowing constrained. In other words – no bang for a lot of bucks! This is leadership? Are we to believe that giving tax breaks to the super-rich will do wonders for the economy or that the people are clamoring to give aid to those worthies. What about this Democratic divide? That only a few right-wing Democrats remain in the House; that the remaining Democrats generally oppose Obama and yet get elected. Their vote was largely symbolic because most of them know that Obama will cave and they can get credit for supporting the little guys who make less than a quarter million dollars a year. Then they can go about cutting benefits for the real little guys. Question of the day: What is the most courageous decision that any politician today has been willing to take? But some critics are sick and tired of the Fed prioritizing job creation at the risk of rising prices. They say the juggling act of promoting economic growth while staving off inflation has proven ineffective, and has led to a policy of too much cheap money with dangerous consequences for the economy. "The American people have been witness to an era of unprecedented borrowing and spending by the national government," Rep. Mike Pence, a Republican from Indiana, told CNNMoney Thursday. "I know that the Fed can't spend us back to prosperity." … "The Fed can print money, but they can't print jobs," he said. "Printing money is no substitute for sound fiscal policy and we ought to be looking to the Congress to embrace the kind of policies that will get this economy moving again." What’s odd, though, is how little talk there is about the way the 70s ended — which I viewed at the time, and still do, as a huge vindication of Keynesianism. Here’s what happened: the Fed decided to squeeze inflation out of the system through a monetary contraction. Paul continues by nothing that the new classical theory that apparently Pence believes it predicted we would not have a prolonged recession during the early 1980’s. We did. This same theory would hold that our current Great Recession is not happening at all. I hate to say this – but this Congressman is clueless on a couple of macroeconomic fronts. At the time that we are about to preserve the tax cuts for the very rich, a New York Times article shine a nice light on the extent of inequality. "At its high point, six decades ago, DiMaggio's salary came to $100,000. That was a lot of money in 1950, equivalent to about $900,000 today. DiMaggio earned about 30 times the median family income back then. Mr. Jeter, however, earns roughly 300 times as much as today's median family income -- assuming that the family has any income at all. With unemployment stubbornly stuck at 9 percent -- plus, many people are watching this battle of the millionaires with very cold noses pressed against the window." Haberman, Clyde. 2010. "Fewer Millions for Jeter? Say It Ain't So!" New York Times (30 November): p. A 23. Here are the elements: Julian Assange, by all appearances the linchpin of WikiLeaks, is being charged with a personal crime in Sweden which, whether he committed it or not, is likely unprovable in court. Interpol has a warrant out for Assange, ostensibly to deliver him to the Swedes. The US government, meanwhile, has moved into high gear: it has pressured Amazon to deny WikiLeaks web-hosting services, and it is reported to be exploring its own criminal charges against Assange and his collaborators. Everything else is speculation—but why not? So here is my attempt to connect the dots. 1. The Swedes initially wavered on prosecuting Assange. First it was yes, then no, then yes again. Given the stakes, it would be naive to think that there was no communication between the US and Swedish governments during this process. The cable I would like to see is the one where Hilary, or one of her underlings, pressures Sweden to reopen the case. I’ll bet Assange would like to have this one too. It is not out of the realm of possibility that he actually has it and will use it if he needs to. 2. If Assange is taken into custody, he will soon find himself in a US court. My guess is that he will not be charged under the Espionage Act, but rather a lesser but sufficient felony associated with theft of government property. Meanwhile, the charges in Sweden will be dropped; after all, they were never provable. 3. While Assange is in custody in the US, WikiLeaks will face a full-court press. There will certainly be a range of attempts, public and private, to eliminate its web presence. Assange will be denied any opportunity to communicate with his colleagues, and anyone who meets with him will be meticulously searched for data storage media. Of course, bail is out of the question. 4. Actual prosecution of Assange will be delayed for years. The defense will be forced to be party to this strategem, since the government will invoke various justifications for withholding evidence. Procedural challenges will lumber slowly from one courthouse to the next. The government’s game plan is that, during this time, WikiLeaks will disintegrate and Assange will be broken. If so, he will be released under a plea bargain that is little different from dropping the charges altogether. Incidentally, this preventive detention strategy will require coordination across administrations if Obama is not reelected in 2012, but I doubt this will be a problem. As for myself, I admire WikiLeaks for its exposure of diplomatic deceit, and I am looking forward to its rumored release of documents from Bank of America. I abhor the actions being taken to shut it down. The only positive side I can see is that Assange is not a Muslim, and we are not yet talking about Predator drones. This may not be an appropriate place for this, but I think that I should make a more public announcement about this matter. I have been serving as Editor of the Journal of Economic Behavior and Organization (JEBO) since August 15, 2001 (officially since 1/1/02). I sent a message several hours ago to the journal's board of editors informing them that I shall step down from this as of 1/1/11, one month from today, to be replaced by Bill Neilson of the University of Tennessee, who has edited Economic Inquiry in the past. That I would do this at this time was decided back in March, 2009, although it is only now that it is being publicly announced (to minimize "lame duckism"). The journal's publisher, Elsevier, has a policy of editors at most of their journals serving at most two terms, which in my case would have been 8 years. I was informed of this in Jan. 2009, and after discussion it was decided in March of that year that I would serve an additional year, which is now coming to an end. I shall repeat here something that I said in my first message to the board back in August 2001 and that I shall close my final message to them after I step down next month with. It is that when I would stop being editor, if anyone were to criticize how I had performed as editor, I would much prefer that they charge me with having been too wild and heterodox rather than having turned the journal into a boring outlet for mainstream orthodoxy. I believe that I have achieved that goal, given that on another blog someone recently charged me with exactly that, making the journal too heterodox (although for anyone who has known of it from before I became editor, it has always had the reputation of being "heterodox but respectable"). If they are so worried about the "a job-killing tax hike" discussed in their letter (a distinctly Keynesian perspective by the way), then use the money gained from allowing the tax cuts to expire for the wealthy to fund an extension of the Making Work Pay tax cuts in the stimulus package that went to middle and lower class households. The GOP is refusing to extend the Making Work Pay tax cuts, apparently the jobs lost when taxes go up for the non-wealthy don't count. Since these tax cuts are likely to result in more spending than tax cuts for the wealthy, this would increase rather than decrease jobs. Mark is basically noting that the marginal propensity to consume for lower income groups is likely to be higher than the marginal propensity to consume for higher income groups. But as long as the marginal propensity to consume is less than one, increases in government purchases have a larger bang for the buck than do tax cuts. Yet – most Senate Republicans oppose any increase in government spending on the grounds that it might increase the deficit. It might be a refreshing change if McConnell actually adopted the perspective of a Keynesian economist – but to date, his tone seems to be one of a Machiavellian whose quest of power is motivated so that he and his ilk can shift more income towards the very rich. President Obama on Monday called for a two-year freeze in the wages of federal employees. The freeze, which would need congressional approval and save $60 billion over 10 years, would make a small dent in the nation's debt problem. The accumulated deficits are currently forecast to exceed $9 trillion over the next decade. On Capitol Hill, Obama's proposal is likely to pick up support on the other side of the aisle. Republicans have argued in favor of a freeze in recent weeks, and the co-chairmen of Obama's bipartisan deficit commission made a similar recommendation earlier this month. "It's a great start. I'll applaud when he [Obama] does the right thing, and he did in this case," said Rep. Jason Chaffetz, a Utah Republican and the presumptive chairman of the House subcommittee on federal workers. "I'd like to see things go further. Personally, I would like to see the overall payroll cut by 10%." The President has decided to go with what Republicans want to do. Fortunately, congressional Democrats are already speaking out against this proposal. In the context of the deficit, Obama will get chump change from freezing federal pay, and will only enlarge the degree to which federal pay lags that of the private sector ... This is another example of the administration’s tendency to bargain with itself rather than Republicans, and in the process reinforces conservative myths, in this case the myth that federal workers are overpaid. Such a policy also ignores the fact that deficit reduction and loss of pay at a time when the unemployment rate remains above 9% will only weaken a too-weak recovery. It is like living in a dream—a very bad dream. Everything seems at once real and imaginary, serious and deliriously impossible. The language is familiar and incomprehensible. And it seems there is no waking up, ever. I’m talking about the “debate” over America’s fiscal deficits, which is what I stumbled into after a night of much happier visions. Now, according to this morning’s New York Times, the left has weighed in with its own plans to achieve deficit stability. Of course, it is more reasonable than the pronunciamenti of the Simpson-Bowles cabal, with a wiser assortment of cuts and more progressive tax adjustments. Still, it is part of the same bizarre trance, disconnected from the basic laws of income accounting. If the US runs, say, a 4% CA deficit, the sum of its net public and private deficits must equal 4%. You can’t alter this no matter how you juggle budgets. Add to this one more piece of wisdom, which we should have learned from the past three years, even if we were blind to everything else: private debts matter as much as public ones. The indebtedness of households, corporations and financial entities can bring down the economy as readily as the profligacy of the public sector. In fact, in the grip of a crisis (which we have not yet escaped), private deficits are far harder to finance because of their greater default risk. That’s why governments slathered themselves with red ink: they borrowed to assume the debts that private parties could no longer bear. So what does this mean for US fiscal deficits? Isn’t it obvious? Public deficits can be brought down only to the extent that the private willingness and capacity to borrow increases and current account (mostly trade) deficits shrink. There is still an important discussion to be had over the size and composition of revenues and expenditures, of course, but this is only about how, not how much. To put it differently, if private deficits and the external position of the US economy remain as they are, planned deficit reduction by the government cannot be realized. Revenues will fall along with spending, the economy will take a dive, and actual fiscal deficits will be unmoved. This is guaranteed by the laws of arithmetic, and you can see such a process happening in real time in the peripheral Eurozone countries. What can break this fall? The current account constraint can be relaxed as falling incomes drive falling imports, but this entails an economic catastrophe unless devaluation can do the job instead. Or the borrowing capacity of the private sector can rise, but this is inconceivable in a collapsing economy. Or, facing the abyss, those who run the show can dispense with all the nonsense about fiscal prudence in isolation from surrounding economic conditions, and open the spigots once again. My prediction: if there is deficit-cutting in the US of any sort before the private sector is prepared to take on more debt and, especially, approximate trade balance is restored, we will see exactly this third scenario. The economy will take a dive, political leaders (whether of the latté or tea persuasion) will spend like crazy, and fiscal deficits will be larger than ever. The deficit-cutting debate is delusional. Yesterday's Washington Post contained a column by ardently neoconner Charles Krauthammer on "The Irrelevance of START" (Strategic Arms Reduction Treaty), which follows similar columns by the main editorial writer (usually Fred Hiatt) and Jacskon Diehl. Krauthammer whined that Obama should be focusing on tax and jobs policies rather than the long-negotiated renewal of the START, which expired last December and was first put in place under George H.W. Bush in the aftermath of the breakup of the Soviet Union, even though he does not support any of Obama's proposals on taxes or jobs, along with nearly all Republicans in the lame duck Congress. He and WaPo and Diehl effectively support the opposition by Senator Kyl (AZ-R) who wants more funding for nuclear weapons in the face of pressure for cutting deficits, with Obama offering $84 billion, but this was not enough for him, and if it does not pass in the lame duck, it will almost surely not pass in the next Congress. This treaty is supported by virtually all of the military, including 7 of the last 8 commanders of US Strategic Nuclear Forces and nearly all past Republican Secretaries of State, Defense, and National Security Advisers, including such figures as Henry Kissinger and Brent Scowcroft, with none of these figures expressing any public opposition. Most say that this is a no-brainer that should be beyond partisan politics, with the absence of US observers in Russian nuclear facilities since the old treaty expired last December supposedly making it so (and certainly making it look so to me). Besides the economy, Krauthammer says we should focus on Iran and North Korea instead, not on such an irrelevant place as Russia. Of course, official US intel reports say Iran is not actively pursuing nuclear weapons, although presumably Krauthammer would like the US to do the bidding of Israel and bomb a few nuclear facilities in Iran, just to keep them in line. North Korea certainly has some nukes and is acting very dangerously right now, with it leading to those 3 AM phone calls for Obama. But it is unclear that anything the lame duck Congress could do would do anything to help about that situation, which got out of hand back when GW Bush was in and dumped the older agreement on pressure from Cheney and Rumsfeld early in his administration, leading the North Koreans to withdraw from the NNPT and to restart their plutonium bomb production plants that had been shut in 1994, leading to the production and testing of actual nuclear weapons now in their possession. Quite aside from all that, there are at least three other reasons why Obama is right to push START ratification and why it is massively irresponsible of all these commentators and politicians to play politics and make stupid comments about this. 1) If one is really worried about Iran and North Korea, Russia is an important player in dealing with both of them, and having cooperation from Russia will help, which ratifying START will help in getting (and rejecting ratification will damage). 2) Unmentioned by all these supposedly sage commentators is that the greatest nuclear danger to the US is none of the above, but rather terrorists getting their hands on loose nukes. The major possible source of those is the still huge stockpile in Russia. Having US inspectors on the ground there should help in the securing of those stockpiles against terrorists or rogue Russian generals messing with them. Saying that Russia is not going to attack is silly in light of the real threat from these weapons. 3) And beyond that,leadership in Russia might change or a rogue general might get at them, and even these glb commentators realize that the only really serious danger from a nuclear confrontation in terms of major world destruction would be an exchange betweeen the US and Russia, which could happen even by accident with no ill intentions. So, reducing those stockpiles somewhat further from their ridiculously overly large levels would improve world security against the damage that might arise from a US-Russian nuclear exchange, however unlikely that may seem. Ratifying this treaty really is a no-brainer and Obama is completely correct to make it a top priority for passage by the lame duck Congress, far ahead of pretty much anything else. The decline of intelligent public discourse on such matters is one of the most disturbing trends I can think of going on right now. Sisario, Ben. 2010. "U.S. Shuts Down Web Sites in Piracy Crackdown." New York Times (27 November). Sandwichman has his own web log. It's called Ecological Headstand because it stands William Rees's "Ecological Footprint" metaphor on its head. Currently, the focus is more on bibliography than commentary. For example, yesterday the Sandwichman posted a set of key references for a discussion of the politics of social accounting. Social accounting is what statistics agencies do when they compile the Gross Domestic Product. It's also what employers and unions do, at least implicitly, in collective bargaining. The controversy over "growth" is not new. In fact, it began with the first release of GNP estimates by the U.S. Commerce Department back in 1947 and that first salvo is documented in an exchange between Simon Kuznets and the team from Commerce. What grows? That depends on the objectives of the people who have designed the measurement of national product. Sandwichman will soon be posting a brief summary of the main issues to Ecological Headstand but in the meanwhile, here's a brain teaser. This does not refer to an observation about international political economy but Barry Eichengreen himself. He seems like a very nice guy and also very smart. He is well-read and has an unusually broad understanding of history and politics. His views on any topic other than economics are insightful and valuable. But when the subject turns to economics proper, he displays a hidebound, and perplexing, orthodoxy. This paradox is on full view in a short interview with him posted on Five Books. He really understands the politics of the euro, how it is rooted in the reaction to two world wars and the shaped by the national cultures of its leading players. He recognizes that countries like France and Germany have institutions that are superior in many ways to those in the US. I can’t think of anyone I would trust more to take the pulse of decision-makers in the Eurozone. And his economic advice is woefully insufficient. Read the interview for its many virtues, but, in the meantime, consider where Eichengreen ends up. He makes three proposals going forward: less populist national fiscal policy institutions (quasi-autonomy for fiscal policy the way autonomous central banks are supposed to do monetary policy), stronger euro-wide financial regulation, and a permanent resolution authority along the lines advocated by Germany. Numbers two and three on this list are OK, number one is misguided, and package as a whole is not remotely up to the job. Without getting into an argument over Keynesian versus deficit hawk fiscal priorities, it should be clear that national budget profligacy was not a factor in most of the countries now facing financial distress. Ireland and Spain in particular had the most orthodox of fiscal policies, but here they are, sinking into the morass of fiscal insolvency. Nor is the failure of financial regulation the factor that separates the objects and subjects of bailouts. Germany too has had its share of banker rule-bending and incompetence (Hypo anyone? ), but it has been spared the pity of its neighbors. The truth is, the countries facing disaster are those that ran large, persistent current account deficits during the past decade. They accumulated enormous private debt, and fiscal freefall is the response to the souring and freezing of this debt: the public sector is leveraging so that the private sector can deleverage. Because of the euro, currency adjustment is unavailable. Why, you might ask, doesn’t the US face the same dilemmas at the state level? As Paul Krugman has asked, what’s the difference between Ireland and Texas (other than about 30 inches of rain)? There are two answers. First, if a region within the US has a significant trade deficit with other regions—if its industries languish while others forge ahead—its incomes fall and people and jobs relocate. This is difficult in Europe because of linguistic and cultural differences. Second, we have a common fiscal authority which, as a matter of routine, transfers income between regions with domestic surpluses and deficits. The absence of this in Europe, the fact that there is a single central bank but no common Treasury, has crippled its response to the crisis. With other avenues closed—large-scale migration, fiscal integration, exchange rate adjustment—there is only one remaining degree of freedom. Deficit countries within the Eurozone must either rebalance through austerity or sustain their growth through public and private borrowing. But restoring balance, much less paying down past debts, is nearly impossible through austerity alone. The arithmetic, which tells us that the amount by which national income must fall equals the deficit reduction target divided by the marginal propensity to import, is frightening. But that’s where peripheral Europe is headed unless there is a much more aggressive program than Eichengreen is willing to contemplate. Amazon is listing the cost for a pre-order at $12.78. That’s all I can say after reading this dreadful critique of Krugman’s writings on Japan that appeared on Common Dreams, along with almost 100 responses, the vast majority utterly clueless. The original article said, in a nutshell, that Krugman shows his economist’s blinders by criticizing Japan’s fiscal and monetary policies when they enjoy low unemployment, universal health care and other good things. Japan and Germany show us the way: economic growth is unimportant, what counts is having a healthy society. Growth is a chimera in the age of sustainability, anyway. We should listen to Germany’s criticism of profligate American borrowing, rather than lecturing other countries to become dissolute in our image. The responses, except for just a few, praised this argument to the skies. 1. Japanese and German living standards depend on the debt-financed consumption of the US and other net importing countries. That doesn’t mean their social achievements are worthless—far from it—but it indicates that the sustainability problem is not all ours. 2. The Japanese have kept going through the accumulation of a massive public debt. This has been possible only because they are a surplus country, so the debt can be domestically financed without cutting into finance for private investment. In other words, the economic policies Krugman criticized have not led to a Japanese meltdown only because of global imbalances, from which they benefit. 3. Economic growth is essential. If you divide up the world’s output equally among the world’s people, it falls well short of how we want to live. We need redistribution and growth. Greening the economy will also entail tons of investment, which we will have to afford somehow. On top of this, enviro-austerians confuse the growth of value (economic growth) with the growth of stuff (physical throughput). In the economy, better is more, but not necessarily the other way around (if the costs of stuff exceed their benefits). I hate to say this, but reading the broad swath of opinion on websites like Common Dreams convinces me that the US left is nowhere near ready for prime time. There is a flippancy and anti-intellectualism that is as immature as anything you’ll find among the Tea Partiers. Did I mention that they have a conception of economics (slash the GDP!) that will relegate them to fringe political status in perpetuity? Brad DeLong asks an interesting and very pertinent question: what are the motives behind those who are screaming that the Fed is stoking the fires of inflation? There was then a hard-money lobby: a substantial number of very rich, socially influential, and politically powerful people whose investments were overwhelmingly in bonds. They had little--personally--at stake in a high level of capacity utilization and a low level of unemployment. They had a great deal at stake in stable prices. They wanted hard money above everything. Today we have next to no hard-money lobby, for nearly everybody has a substantially diversified portfolio and suffers mightily when unemployment is high and capacity utilization and spending are low. 1. Bonds continue to play a very important role in the portfolios of the well-to-do. Hard money remains a significant desideratum for them, although it might be offset in other respects. 3. To the extent there remains a relationship between macroeconomic performance and non-credit assets, it is obscured by the tremendous variation across individual portfolios. Investors can tell themselves their profits in good times are due to smart trading strategies, and their losses the result of inevitable mistakes. Above all of this, I think it is too simple to reduce ideology to immediate self-interest. The ideas people are inclined to believe in are those which appear correct from the social position of the believer, or which foreground the problems that people in this position commonly face. For instance, there is nothing illogical about the fear of wealthy individuals that the governments which borrow from them may resort to inflating away their debts or at least give insufficient consideration to that possibility. They are right to worry about this as a potential conflict of interest: government as borrower and as controller of monetary policy. At the moment, I agree that the risk of excessive inflation pales beside that of insufficient inflation, but in part this is because I am not as fearful that central banks will fail to respond to signals of a recovery if one actually materializes. I recognize the potential conflict of interests that hard money people fret about, but I do not foreground it as they do. This difference between me and them could be called ideological in the social-science definition of that term. To put it simply: the ideology of hard money, as opposed to the immediate interests it generates, is not calibrated to the direct costs and benefits of economic policies. It reflects instead an intellectual orientation that is reinforced by the experiences and interests of the wealth-holding class as they have accumulated over time and can sometime lead to policies that may harm their portfolios in the short run, as opposition to the current round of quantitative easing may do. The natural selection of beliefs, like that of species, operates in the context of structural factors—the interrelationship between concepts/traits—and does not necessarily optimize over each individual element. Are Republicans Arguing for Less Net Exports? The Fed's $600 billion quantitative easing program "introduces significant uncertainty regarding the future strength of the dollar and could result both in hard-to-control, long-term inflation and potentially generate artificial asset bubbles that could cause further economic disruptions," the Republican leaders of the House of Representatives and Senate wrote. If this new round of monetary policy does lead to a weaker dollar – then it would tend to increase net exports. Given the twin facts that we have a current account deficit and insufficient aggregate demand – this would be a good thing. Gavin Jones and Mark Felsenthal report on the FED’s chairman reply to the critics of QE2. One is the great animated film about the sort-of dentist who pulls off a jaw-dropping heist while musing on “The Secret of the Sierra Madre”. Overall, I think the film does a fine job explaining the profound malfeasance of the financial sector, finance’s lock on government, and government’s enabling of the whole thing. What’s missing from its purview, however, is economics—not the profession but the dimension. This shows up in the way economists are criticized: they are denounced for their venality and policy recommendations, but not for the intellectual constructs they have promulgated that have made it almost impossible to think clearly about finance and macroeconomic risk. Just to take one example, it is remarkable that the filmmakers could devote an entire segment to the sins of economists and never mention the efficient market hypothesis. OK, maybe I am asking for the sort of treatment that would appeal to a handful of dissident economists and would be of no interest at all to the millions Ferguson and his colleagues are hoping to reach. Nevertheless, the lack of economic perspective (which is reinforced by the list of individuals thanked in the closing credits) shows up in two particularly important ways. First, while income inequality is recognized as a cause of the rapid increase in household debt, no mention is made of current account deficits (global imbalances). This topic does not have to be presented scholastically; on the contrary, it lends itself to catchy animations, ominous music (of which there is already a lot), and expressions of outrage. Second, the critique of the 2008 bailouts offered by the film is entirely moralistic: bad people were rescued at our expense and allowed to profit handsomely for their crimes. Yes, but there is another point of increasing importance: the decision of governments to assume the full burden of private financial losses has stretched public treasuries to the breaking point. This is already visible in Ireland and beginning to emerge in Portugal and Spain. The process of writing off bad debt is still at an early stage in the US, but it is possible we will experience similar tensions. At the least, the attempt to postpone or sidestep writedowns will prolong deleveraging and lead to many years of anemic economic performance. On a positive note, and despite the cheesiness of the final shot of ol’ Lady Liberty, I welcome the closing message, which echoes the point I’ve tried to make as well: this disaster was the result of the political hegemony of the financial sector, and until those bums are thrown out no meaningful public action is possible.